I always knew I wanted to serve a mission. It took me longer than I had anticipated to raise enough money and do all the paperwork that needed to be done so I could serve. By the time I finally got my call letter I was so very excited. I was ready and willing to go serve anywhere in the whole world! But if anyone asked me to name just one place that I did not want to go, I would respond, Ukraine. So when I opened my letter and read that I had been called to serve in the Ukraine Kyiv Mission, I thought it was a joke. Had there not been twenty plus people there, I would have broken down into tears. I thought that a mistake had been made, and I seriously considered saying "No" to the First Presidency. It took much prayer and pondering to realize that the Lord was testing my willingness to serve. Like Nephi, who was commanded to go and get the brass plates, a seemingly impossible task, but he knew that the Lord would prepare a way. So I did as he did and took a blind leap of faith, trusting that the Lord would help me. Now that I am at the end of my mission and look back on all that has happened, I can't imagine serving anywhere else. My companions, my mission president and his wife, the members, and people I've met on the street have greatly enriched and strengthened my life as I am sure no other group of people could have. True, it has been extremely hard and I have felt more weak and worthless than ever before. But, as I have learned, that is a natural result of coming unto Christ. And it is ok, because now I know better how to improve myself. The greatest lesson I have learned is that God lives and that He loves me. He wants to be involved in every step of my life and it is up to me to invite Him. I know that it is His greatest desire for us to be happy. He helps us know how to be happy through personal revelation from scripture study, prayer, and temple service. He blesses us when we follow His commandments. I know that He loves us so much that He suffered and died and was resurrected so that we may be clean and receive eternal life. I know that He appeared to the prophet, Joseph Smith and restored His church through him. I know that He leads and guides our church today through His living prophet Thomas S. Monson. I know that the Book of Mormon contains His words and we can feel His Spirit and come closer to Him as we study it. I am so grateful that I put my trust in Him and served where He called me. Who knew that the last week of my mission would be the best week? I didn't, so I was pleasantly surprised to have it be that way. Last Tuesday we went to say goodbye to Sister Larisa. She is such a sweetheart, I will never forget her. Then we went into Kiev for a zone meeting. It was great; President Steinagel spoke a lot about what he did after his mission, which really helped me a lot. Afterward I went to the Temple for my last time here. I was so happy there and I got a strong feeling that the Lord is going to help me with whatever comes next in life. Thursday we were trapped inside all day due to some crazy remount in the kitchen, but I was able to fully go over Billa Tserkva with Sister Helelyan, so she knows more about what to do when she goes back. Friday we met with Anya, a sweet girl who has a desire to get baptized. Saturday we watched General Conference, then afterward went to Halina and Andre's wedding. It was so much fun! Never a dull moment! I was so glad I could be there. She was so happy. Sunday we watched General Conference and I sat by Halina during the Relief Society session. Yes, Halina and Andre were at church the day after their wedding! I have no fear of them falling away. Afterward we met with three of my favorite families in Ukraine. All of which included either an in-active member there, or an investigator. Why couldn't this have happened more often? It was very bittersweet to say goodbye to all of them, and to Ukraine as well. I hope to see everyone again and know that we will, if we all stay firm in the faith. I am still in denial that I am actually leaving, I think it will settle in somewhere over the Atlantic Ocean. How many companions does it take to kill Sister Howell? Excuse the missionary slang. Because this is my last transfer I am "dying" as a missionary. I started out the transfer with Sister Clark in Odessa, then I came back to Billa with Sister Kovelenko. Last Saturday Sister Kovelenko went down to Odessa and Sister Helelyan and Sister Movesardian are with me now. On Wednesday, we will go Voskresinsky in Kiev (my first area) and on Saturday something else will happen. I don't know yet. The assistants like secrets. All I know is that I will be on a plane next Tuesday and I am trying not to think about that, while everyone else keeps reminding me. Last week we were visiting Bobushka Anya. She is paralyzed on one half of her body and because of that, when she speaks, it is in hardly understandable Russian. Since I'm Ukrainian speaking I can only understand about 10% of what she says. So, she was in a very talkative mood that day and went on and on telling her life story. Occasionally she would stop and pause for understanding. I didn't want her to repeat herself ten times, so I said, "pravelno," which means: correct. Then she would keep on talking. Later, as Sister Kovelenko and I were walking to our next meeting I had her recap on what Anya said. She said that in her life she has had three major concussions and once, her son-in-law tried to inject her with something in order to kill her, so that he could sell her apartment. After her last close call with death, her daughter said that even the dead world will not accept her. What a horrible thing to say to a person! After a few seconds I said in shock, "I hope that was not one of the times when I said "pravelno"!" Sister Kovelenko was laughing so hard that I thought she would fall to the ground. But she told me that no, I had said pravelno after Anya said that the Lord must have an important purpose for her to keep her alive so many times. Wooah, I need to be more careful! Last Monday it was super cold outside, so I went and bought a new coat. I had to buy a new coat, because the ones I had I already donated to the mission. I already donated them thinking that it wouldn't get that cold until I leave. So I bought it and felt warm and cozy the rest of the day. Then I woke up on Tuesday and the weather was just fine! Then it kept getting warmer and warmer until I was back to wearing short sleeves. Well, I'm not hoping for colder weather again. So I'll just say that I bought the coat to wear when I am back home. I hope at least it will be cool enough to wear on the plane. We had a really great lesson last Wednesday with a member and her friend that came to the open house and cultural event. She loved all of it and wants her family (who have mostly passed away) to be together forever. She knows that she has to change some things in her life, she just needs to make the decision to do it and follow through. That is always the hard part. I just wish I could show her how much more happier she will be if she does follow God's plan. Last night I made some spaghetti and then right after we were done eating we went to visit a partially active family. We had a good spiritual thought where 4 of the 6 kids were present, then afterward they invited us to eat with them. At first I tried to refuse, saying that we just ate, but then, I didn't want to sound rude, so we gave in. It was Ukrainian pizza, complete with potatoes, tomatoes, onions and heaping wads of mayonnaise. I wasn't sure I could finish my slice, even though it did taste pretty good. Then they took my plate away and I was relieved that I had finished. And they came back with another slice. I tried to do the kind thing and hand it to the mother who still hadn't eaten, but she wouldn't have it and gave it back and told me to EAT! When my companion and I left the house I told her she would have to roll me home. I don't get fed very often on my mission, but when I do- it makes up for all the other times I haven't been fed! I don't think I knew what "trunkie" really was until my last transfer. Instead of listing all the things that have made me want to scream, "are you kidding me?" I will just mention what happened last Friday. Sister Clark and I were going to the mission office to pick up our new mini missionaries. When we were walking past the temple, we found them there. Lena, Sister Clark's mini, Natasha, my mini, and Natasha's boyfriend. We all hugged and took pictures in front of the temple. Then Sister Clark and Lena went off to the mission office. Natasha's boyfriend came up to me and asked me if he could borrow her for a moment before we go. So they walked a little ways away and he proposed to her! Of course, she is super happy, but she is being very good about it. I think she might think it is forbidden to talk about guys and I'm letting her keep that opinion. A miracle happened last Monday. Sister Clark and I were in Kiev, and I wanted to do some souvenir shopping for the last time. Even though I've been to the street that has tons of souvenirs several times, Sister Clark and I couldn't agree on how to get there. So we decided to ask someone. We stopped a young woman who wasn't sure how to get there herself, but she volunteered to take us there the best she could. On the way she asked us about why we were here and when we were explaining to her, she almost started crying. We asked if she would like to meet with the sisters in Kiev and she said that she would love to. I love moments like those! They make me so happy to be a missionary! Back in Billa- it is super hard here! Being away for so long, none of our old investigators want to meet with us and trying to find new people is so hard. Yesterday we went with the district to sing hymns at Park Alexandria. We sang for maybe 20 minutes and a few people stopped, but we didn't get any contacts out of it. This morning we wanted to stop by a temple referral, but we got on the wrong marshutka which took us way out in the wrong direction. We will try again at the next opportunity. I just hope that something works out for us here. But Sister Larica certainly is happy that we are back! I think this has been the craziest week of my mission! Monday I had a lovely preparation day in Odessa, which started off with me losing my fake tooth down the drain (so if I come home with a tooth missing, it is not because I was malnourished in Ukraine) I was pretty upset about it. But then we went to a Pinocchio Restaurant in the center of the city that reminded me so much of Disneyland that I almost cried. They even played actual music from Disneyland! Tuesday we had combined district meeting in the morning but other then that, it was a normal day, but at night we got a phone call from the office asking us if we were supposed to be on a train that night. We had not heard anything, but we did end up going to the train station early Wednesday morning to get tickets for that night to go to Kiev so we could make it to zone conference. On Wednesday night it was raining cats and dogs when we were on our way to the train station, on the way, we got a call from my district leader who asked if I knew that our district was going to go to the temple after zone conference. I had a mini panic attack because my recommend is still in Billa Serkva, and there was no way we could go there to get it. Luckily on Thursday morning I was able to squeeze a few minutes out of President Steinagel's schedule and get a recommend. Zone conference was amazing like always. I gave my final testimony that I was determined not to cry for, but did anyway. 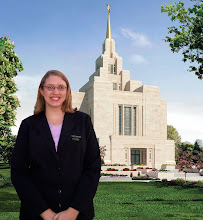 The temple was beautiful and I felt the spirit strongly confirm to me that everything was going to be ok. Friday Sister Clark and I went to get her HIV test so she can go to Bulgaria next week. Then we hopped back on a train again to make it back to Odessa to support Vika at her baptism. Saturday morning we went to check the water and it was...not warm. Then we went to Vika's and she asked about the temperature of the water and said she would not get baptized if the water was cold. We told her it wasn't too bad... Sister Clark and I were worried that she wouldn't like the water. But when the time came for the baptism, we were so busy we forgot about it and she was baptized before we knew it. Sunday she received the Gift of the Holy Ghost. Later, in Relief Society she shared her testimony about how special the experience was for her and I knew that it was worth it to have gone back to Odessa. Because last night we were on a train again to Kiev, and here we are, going to pick up Sis. Clark's results today so she can go to Bulgaria tomorrow, and I can pick up my mini missionary and go to back to Billa finally! I have been more stressed and lost and confused this week than at any other time on my mission, but it was all worth it. I am definitely not having a boring last transfer.